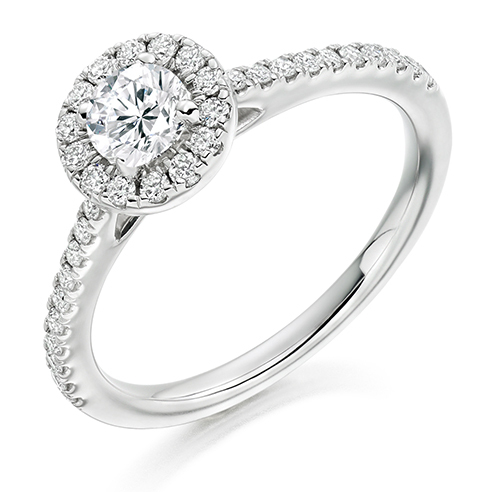 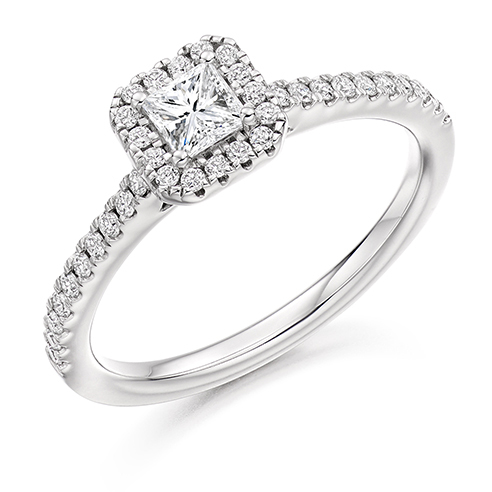 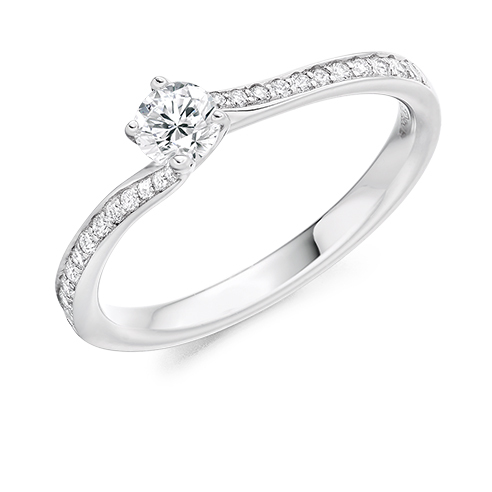 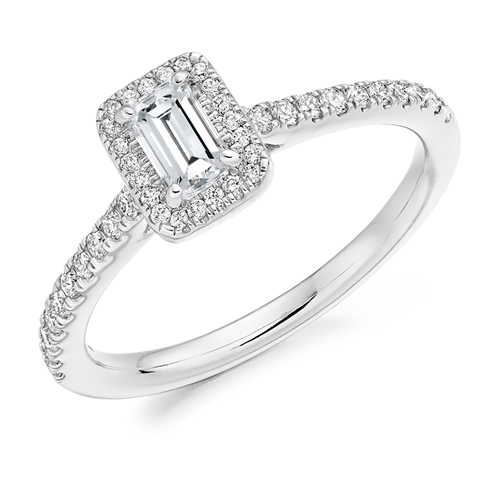 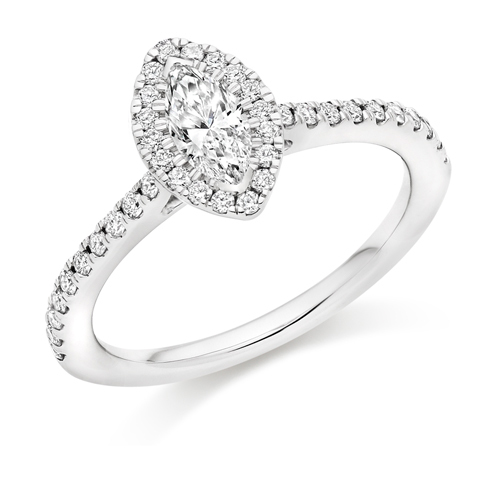 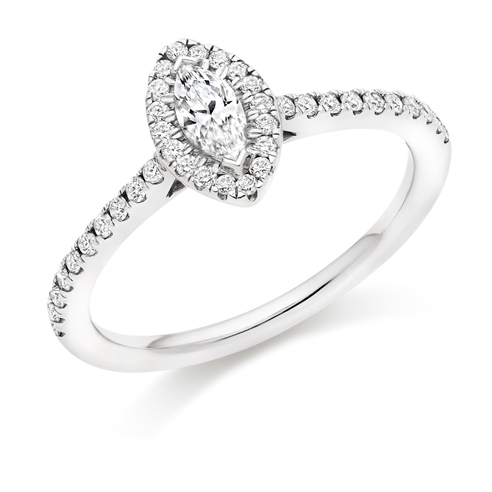 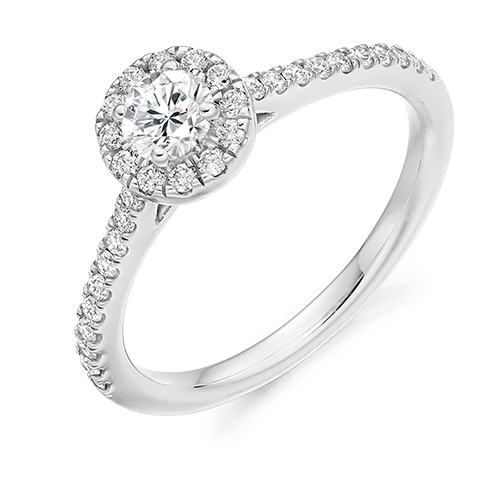 A beautiful round brilliant cut engagement ring set on a twist. 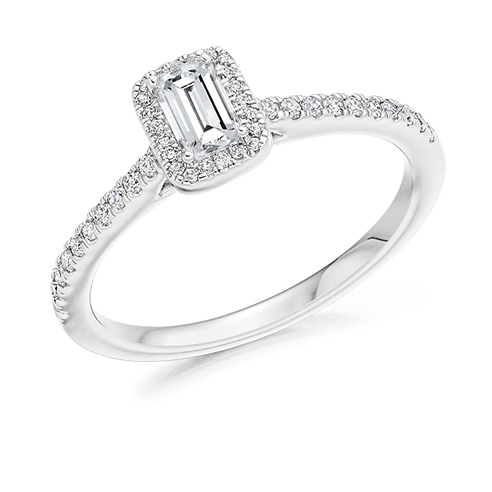 The shoulders of the band are also set with accent stones to complete the look. 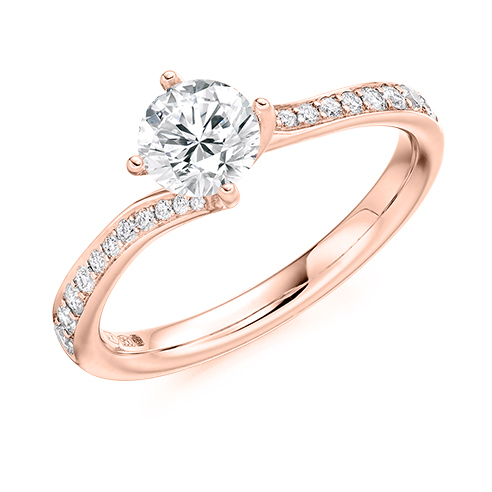 This ring is available in a range of metals and and carat weights.